It's natural for a rookie mom to look for a sense of belongingness. I, personally experienced this and lucky enough, I found myself joining several Facebook groups and recognized organization who's main goal is to provide knowledge, comfort, and support for moms and soon-to-be moms. So, fear not! Here's a list of our most recommended Facebook groups and organization which will surely be able to help you out in your pregnancy and motherhood journey. "This group was originally started to address the actions of the Department of Health to make home birthing illegal. The original purpose of this group is to keep home birthing in the Philippines legal and to educate families about homebirthing in the Philippines. The group has since evolved and we now focus on gentle birth options. We seek to provide every woman giving birth in the Philippines information, research and experience to allow them to make an informed decision when making their birth option"
- Offers a very strong support for soon-to-be moms in terms of giving birth in the most gentle, natural way possible. - Great dynamic and engagement among members and admins. - Shared birth stories are emotionally strong, engaging, passionate, and inspiring. Even before finding out that I was pregnant, I initially wanted to give birth naturally. If you've been following this blog, you'll know that I hate being in hospitals, doctors, and every tools that comes with them. 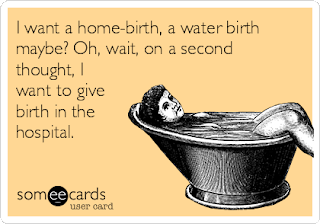 I imagined my birthing as relaxed and calm as possible, I even wanted to have a water birth. However, I wasn't able to get in touch with this group sooner that's why I opted to just give birth in the hospital. - They provide materials and resources such as books, ebooks that can be hard to find in the market that's why shared files or free book downloads are not allowed. A separate groups called: Sustainable Sharing was created in order for moms to get the free materials. *Read Pinned Post once you get the approval from admin to join the group. "This group is administered by Nurturers of the Earth, a support group for earth-friendly parenting and lifestyle. The group was started by Nona D. Andaya-Castillo, the first and currently the only non-doctor in the Philippines who passed the accreditation for International Board Certified Lactation Consultants or IBCLC. She also led national and international projects with Dr. Elvira L. Henares-Esguerra to support, promote and protect breastfeeding like the establishment of breastfeeding stations in all SM Supermalls, the staging of Simultaneous Breastfeeding in Single and Multiple Sites. The last two events inspired them to organize the annual Synchronized Breastfeeding Worldwide currently staged in more than 19 countries since 2007." - Strong support group for moms and soon-to-be moms who wanted to try and eventually to breastfeed exclusively. - Provides free tutorials, reading resources and materials that will help you how to do breastfeeding properly. - Great educational source for breastfeeding. - Can be a source of breast milk during emergencies if you need it. - Members and Admins are passionate about helping you and your baby achieve your breastfeeding goals. - Shared stories and photos of successful breastfeeding moms are inspiring and motivational for soon-to-be breastfeeding moms. I know for myself that I wanted to breastfeed. No questions asks. 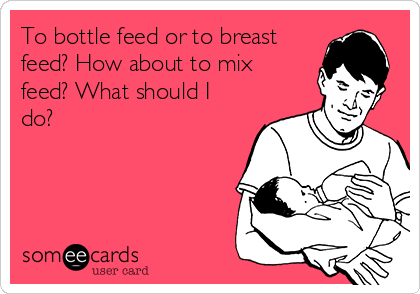 I know how important breast milk is to babies in their first 6 months of life and that's what I intend to do. 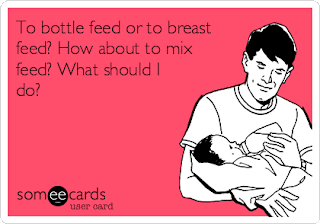 However, breastfeeding is not an easy task. This group already helped a lot in order to prepare myself for my breastfeeding journey. - They are strict in approving members and exclusively approves women as part of their group since other materials exposes a woman's breast. Dads who wanted to be part of the group to help their wives are advised to use their wives' personal Facebook page to be able to join the group. "This is a page to discuss, review, buy / sell / swap new or second-hand nappies, upload pics of your stash or pics of your babies in your favorite MCNs." - Great support group for moms who wanted to exclusively cloth diaper their babies. - Provides How-to's in cloth diapering world. - Provides honest feedback in cloth diaper online shops and brands available in the market. I wanted to cloth diaper my baby as well since that's what the "best" option that my lola and mom told me. But, of course, I know babies pooped and pee a lot during their first few weeks of life and I don't have someone to do all the laundry everyday. 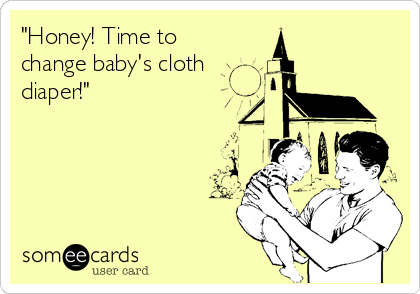 I intend to cloth diaper when my baby is a little bit older or as soon as she has a stable pooping time. As of now, I am building my stash of cloth diapers and possibly create my own inserts/boosters. This group is all about "lampins" and cloth diapering so be careful when mentioning or asking about disposable diapers as some members can be a bit aggressive and unwelcoming for moms who are not switching yet. "A place where we can discuss everything about babywearing. This group welcomes all types of baby carriers. Both local and international brands, DIY and inexpensive to highly sought after baby carriers." 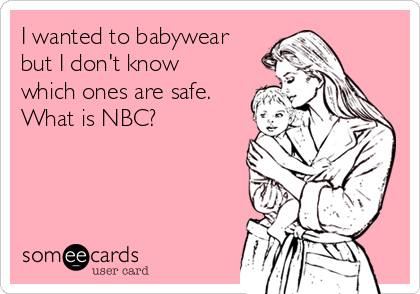 - Provides detailed knowledge about babywearing, it's safety and how-to's. - Provides babywearing brands that is safe for baby and the wearer that is available in the market. - Offers buy and sell of babywearing gear within the group. I am exploring babywearing too because seriously, it's cute! and I think it's a fun bonding moment when my baby arrives. There are tons of babywearing gear available that are cheap and super expensive for every babywearing moms and dads. This group can be a little rude and harsh to members who are newbie and does not follow the rules and regulations of the group. 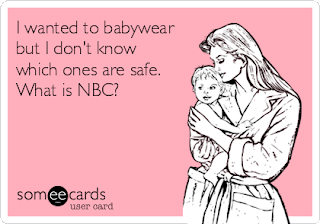 Some members are often direct in telling you if you're babywearing the wrong way or if when you are using a dangerous carrier in a not so welcoming way without telling the newbie the reasons why it is not a safe carrier. Thus, some members feel like they are unwelcome or feels likes the groups is solely for babywearers who can buy expensive and approved gears. Also, even though the group focuses on supplying it's members the proper how-to's of babywearing, the community seemed to be more into sharing rants, raves and complaints of seeing other moms or dads who are babywearing the wrong way - which for me, can be a little bit annoying, time consuming, and space crowding the feed of the group. But, despite all this, you can still learn a lot if you really want to babywear. There you go, rookie mom! If you have found any other groups that might be helpful, feel free to share it in the comments below and I'll be sure to add them on this list.